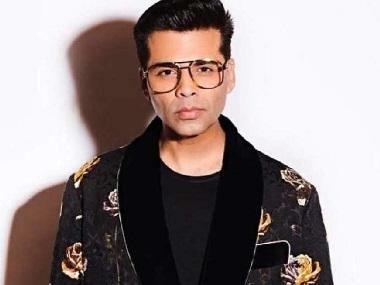 Ahead of Karan Johar's film's release on Diwali, Mukesh Bhatt, Mukesh Bhatt (president of Film and TV Producers Guild), Dharma Productions' Apurva Mehta and Fox Star India's Vijay Singh went to meet the Home ministry to ensure maximum security. 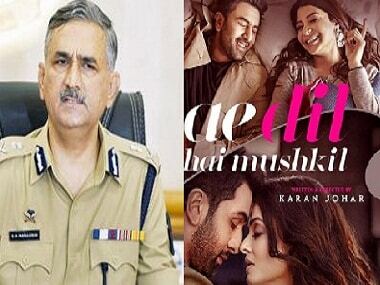 However, back in Mumbai, the police have already arrested 12 MNS workers for shouting slogans and demanding a ban of Ae Dil Hai Mushkil. "Nobody in the city can break the law and order situation. We have already provided security to multiplexs in Mumbai. Also, we are talking with associations like the IMPPA, and we have assured all types of security," said Mumbai Police Commissioner Datta Padsalgikar to Firstpost. Mumbai Police Commissioner Datta Padsalgikar. He further added, "Nobody can stop them from watching a film. We take this issue very seriously and CM Devendra Fadnavis had already instructed us to take strict action. I am personally monitoring the issue. If anyone wants to help or wants security regarding this issue, they can get in touch with Mumbai police. The arrested 12 Maharashtra Navnirman Sena office bearers have been booked under CRPC act, said Azad Maidan police station Senior Inspector Vijay Kadam. "They have been booked under section 135, 156 (3). Now they are in judicial custody and the surety of bail of Rs 5000 each will be paid after 14 days, which ends on 4th November," added Kadam. Among the MNS leaders arrested are Arwind Gawde, Shekhar Gavhane, Nilesh Jadhav and nine other office bearers from Colaba, South Mumbai. Repeatedly attempts have been made to contact MNS leader Amey Khopkar, who is not answering any phone calls at the moment.